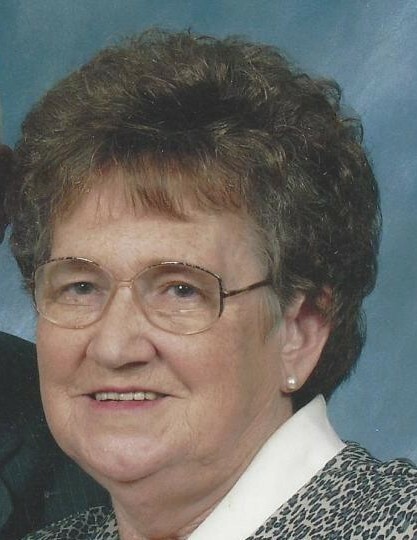 Mildred Dale Lewallen, 85 of Gainesville passed away Sunday January 27, 2019. Mrs. Lewallen was born in Maysville, Ga. on September 1, 1933, but was raised in Gillsville, GA.
She is preceded in death by husband, Vance Lewallen; her daughter Jane Warwick; her mother and father, Sam Dale and Hannah Brock Dale; her brother, J. C. Dale; sisters, Eva Perdue, Merle Sims, and Jean Whitehead. She is survived by son and daughter-in-law, Bobby and Jan Lewallen of Gainesville; her daughter and son-in-law, Betty and Ralph Sims of Gillsville; daughter, Judy Thomas of Gainesville; son-in-law Mike Warwick of Gainesville; grandchildren, Greg and Charlie Sims of Flowery Branch; Julie Collins of Gainesville, Chasity and Brent Jordan of Lula, Amanda and John Holmes of Chattanooga, TN; Hunter Warwick and Logan Warwick of Gainesville; great-grandchildren Calah and Casron Coker of Gainesville, Ally Collins, Ryland Collins of Gainesville, Maggie and Savannah Jordan of Lula, Nicholas and Ryan Holmes of Chattanooga, TN, Jordan Castro and Storey Sims of Flowery Branch; and great-great grandchildren, Cohen and Collins Coker of Gainesville. Mildred was a Charter Member of Pine Grove Baptist Church in Gillsville, GA, and a member of the Adult Choir. She was known for making cakes and pies for the community as well as family. She was retired from Dundee Mills of Gainesville. Funeral Services will be held 2:00 p.m. Wednesday, January 30, 2019 at Pine Grove Baptist Church, Gillsville, GA. Rev. Brent Jordan, Rev. Samuel Dale, and Rev. Marshall Dale will officiate. Interment will follow in the Church Cemetery. The family will receive friends at Little & Davenport Funeral Home Tuesday, January 29, 2019 from 4:00-8:00 p.m.